Remember my login details on this computer. NEW TO NEW ZEALAND SOTHEBY'S INTERNATIONAL REALTY? Located in the area known as the 'Hilton' this 2 bedroom 2.5 bathroom property is ideally suited for the owner looking for the convenience of apartment living. Re known for luxury and quality, this single level apartment with lift access, is situated in the highly sought after Kawarau Village in sunny Kelvin Heights. This home represents multiple options. First home buyers or retirees - smart cosmopolitan executive living. A holiday home in the stunning resort location of Queenstown or make it a classy addition to your investment portfolio. 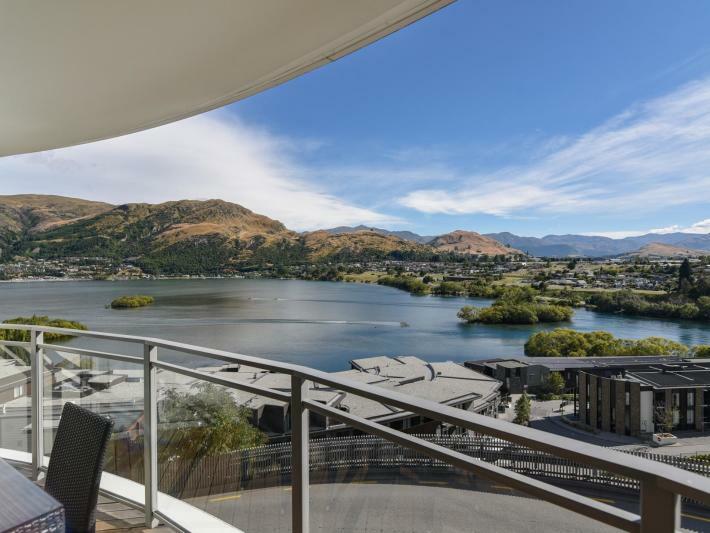 With north facing balconies boasting panoramic views over the lake, surrounding mountains, ski fields and the beautiful Queenstown landscape this property has everything you need. Stylishly appointed, low maintenance and with a fantastic layout this property is fully furnished and ready to enjoy. The property has quality fittings with granite work tops, smart tiled bathrooms and featuring a gas fire place, economic heatpump/air conditioning unit for summer or winter use. Kawarau Village is also close to cafes, restaurants, bars, luxury spa and shopping precincts making this property a fantastic home or investment option. Take the water taxi to central Queenstown and leave the car in your private underground carpark. Live the life you deserve or holiday in 5 star luxury. Offered with vacant possession and sold inclusive of GST. Please call Steph today for a full information pack or call now to view. New Zealand Sotheby's International Realty. Browns Real Estate Limited (licensed under the REAA 2008) MREINZ. New Zealand Sotheby's International Realty - Real Estate and Property Specialists. A luxury real estate agency that focuses on the sale of premium property in Auckland, Waiheke Island, Bay of Plenty, Rotorua, Taupo, Hawke's Bay, Wairarapa, Wellington, Nelson, Marlborough, Wanaka, Arrowtown, Queenstown, New Zealand.